Since opening in 1988, the Metro has been a favorite restaurant in the Nichols Hills neighborhood. People also drive from many miles away to enjoy the great food, refined atmosphere and friendly, knowledgeable service that we have become known for. We even have regulars who visit us from around the country when their travels bring them to the city. Our wine list of over 400 hand selected wines, an ever-changing by-the-glass list and our frequent wine dinners and tastings keep us at the forefront of the Oklahoma City wine scene. Over the years we have welcomed some of the world’s most acclaimed winemakers and winery owners to the Metro to share their passion and their great wines. 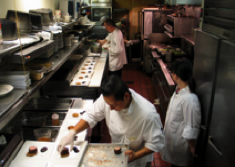 Many of our staff have been with us for over fifteen years and it is this continuity that makes the Metro so special. 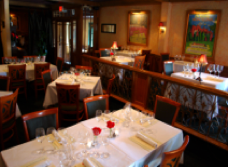 Come see why The Metro has been consistently rated one of Oklahoma’s finest restaurants since 1988.